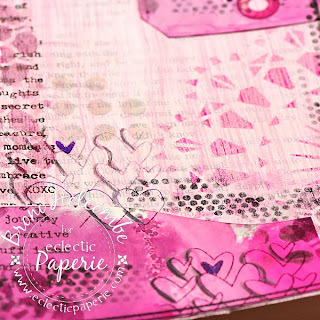 Eclectic Paperie: Bless Your Heart! Hello, everyone! It's Broni here with you today. I hope you all had a wonderful Christmas and that you're ready for a bright and happy New Year! I don't know about you, but I'm ready to move on from all the holiday hustle and bustle. 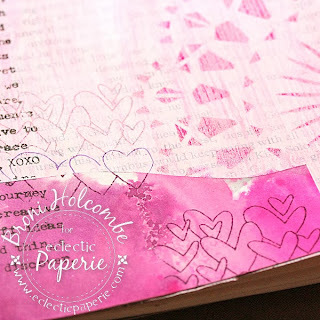 Lately I've been looking forward to celebrating LOVE and creating Valentine's Day projects. I have one for you today! 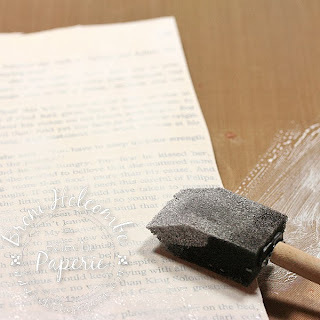 I added a book page to my journal using Matte Multi-Medium, then painted it with some watered down Gesso. Next I added some Spun Sugar Distress Paint. 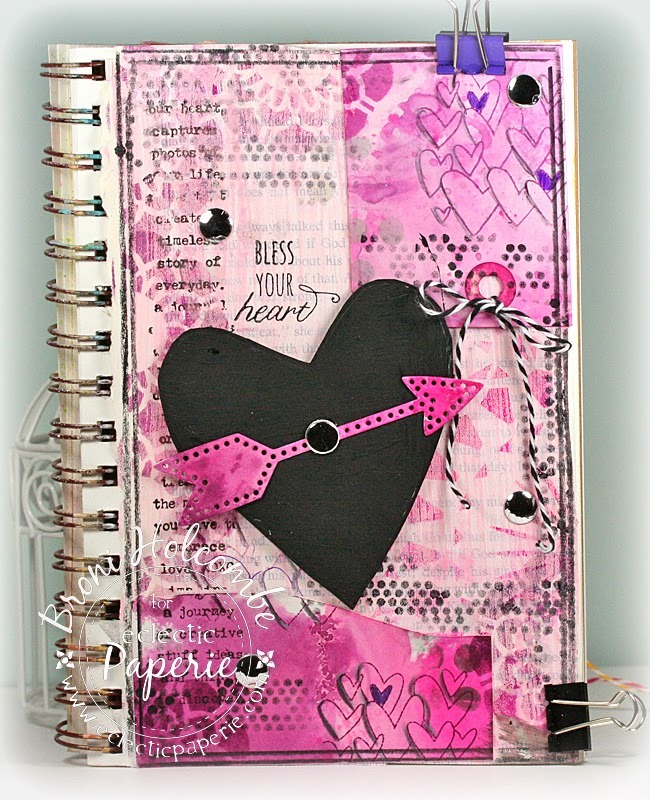 I took some scraps that I had left over from another project and added them to the page with the Multi-Medium, then added some print stamped in Memento Tuxedo black ink, and some hearts from the Catherine Scanlon Random Shapes stamp set stamped in Seedless Preserves ink. I drew some lines around the page and added some shading to the hearts with a watercolor pencil and also added some Tiny Circles with Black Soot ink. Sigh. Now that we've moved on from Christmas, what's up for you in the new year? More crafting, I hope! 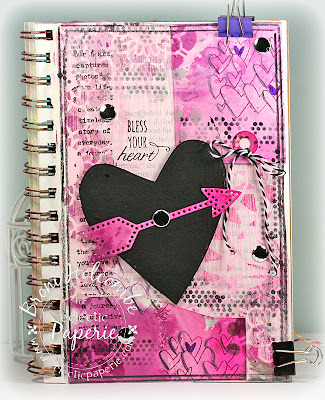 Absolutely stunning and I love the mixed media feel and the pink colouring which is perfect for valentines. Great journal page, Broni! Love the monochromatic color scheme and all the great layering. I always forget that you can water down gesso to make a great whitewash effect. Thanks for the reminder! 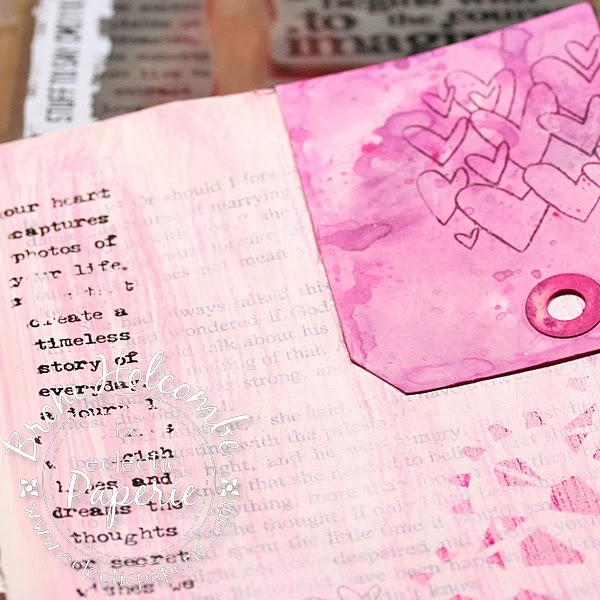 I've gotten so obsessed with ATCs that I haven't done any art journaling in AGES. Love your page! So much delish texture. Well done. Wonderful - I don't always comment but I am always watching!!! I am so ready for hearts, too, Broni! 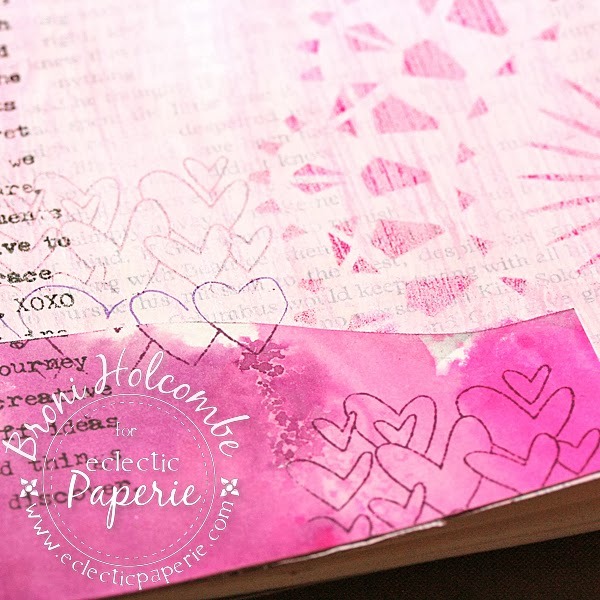 LOVE the pinks and LOVE the hearts! FAB journal page! Love the colors and love how you incorporate left over bits and pieces from other projects and it looks so cohesive. Gorgeous spread, GF!! And yes, I'm hoping to get more ART time in 2014. 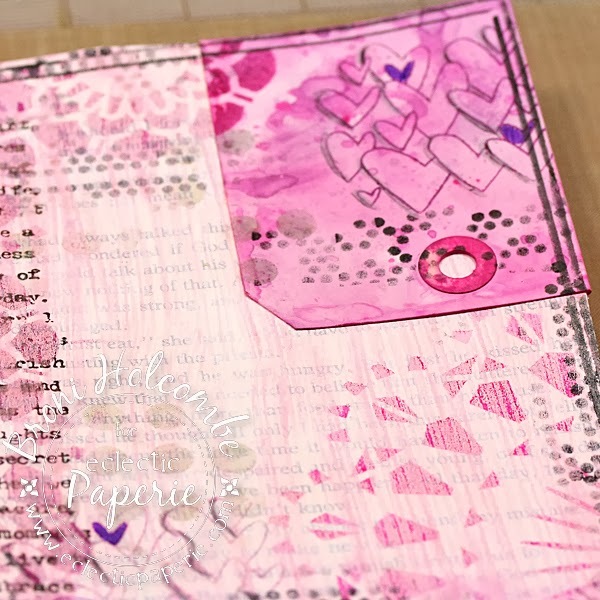 Beautiful Broni..love that you used bits and bobs as well! !